Chesterfield photographer Ben Lumley has been taking professional photos since 2010. He approached Creative Business Advisor Filomena Rodriguez for bespoke support through The Big House programme. As a partner of the programme, NBV helps businesses in the creative and digital sectors in Derbyshire and Nottinghamshire by providing tailored business support and funding. Ben told us more about his business and the support he has received. My business is called Ben Lumley Photography, and I am based in the East Midlands. 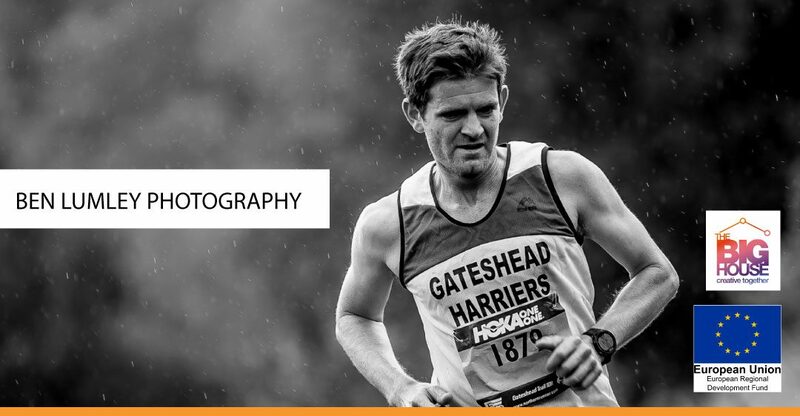 I specialise in running and adventure photography. What makes my business unique is the creative, artistic approach that I take to my work which is rarely seen in race photography. I started my business early 2017 after taking up photography 7 years ago when I was given my first camera by my uncle. Over the years I’ve done many jobs including web developer, motivational speaker, archery instructor and primary school teacher, but nothing ever really fit and I always felt like I was meant to do something more. What attracted you to NBV? I decided to work with NBV as I felt I needed some business guidance from a creative standpoint. I needed people who understood me and my mission. Fil, my Advisor, has been superb. She’s guided me carefully through my understanding of myself, my art and the creation of my business. She has not pushed me but simply helped me find my own path. Fil quickly saw that I didn’t need spreadsheets and business models but instead gave me room to think and grow and develop my craft. I came into coaching with a business plan and objective and have ended up with something much more, more authentic and directly aligned to my passion and ultimately my heart. I can’t recommend NBV, Big House and especially Fil enough, it’s been a wonderful experience. Without her I simply wouldn’t have carried on and I would have quickly become disheartened with the ups and downs of running my business. My plans are to keep working with Fil as long as I can. I’ll be relentlessly pushing my business forward every day. My goals for the business are to mould it into a European Creative Agency that is well-known for working on races and expeditions around the globe. I strongly advise any fellow creative to look at the business guidance from NBV as I have found it invaluable.